We're trying something new here on Sunday... our first ever CIDER DAY. 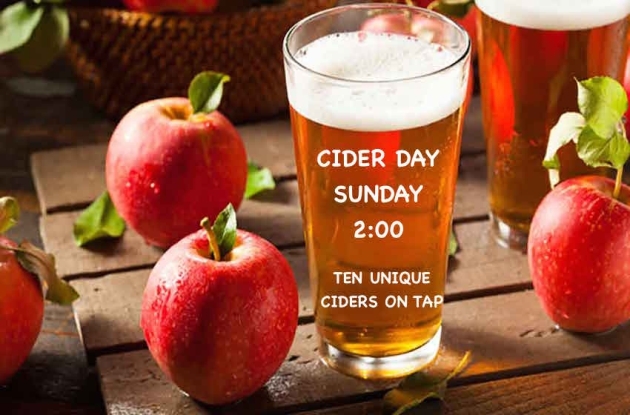 That's right, we'll have 10 different ciders on tap on Sunday starting at 2:00. We'll still have a few beers on tap, don't worry - but the focus will be on the ciders. See below for the full list of what we'll have. And Mitch Johnston will be here playing some live music at 2:00 as well. Should be a great afternoon!